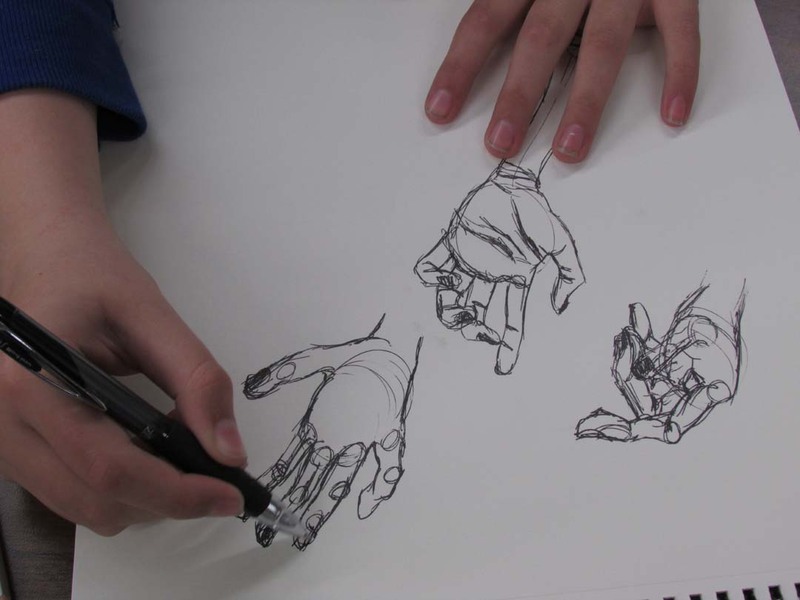 A young art student draws a variety of hand sketches. 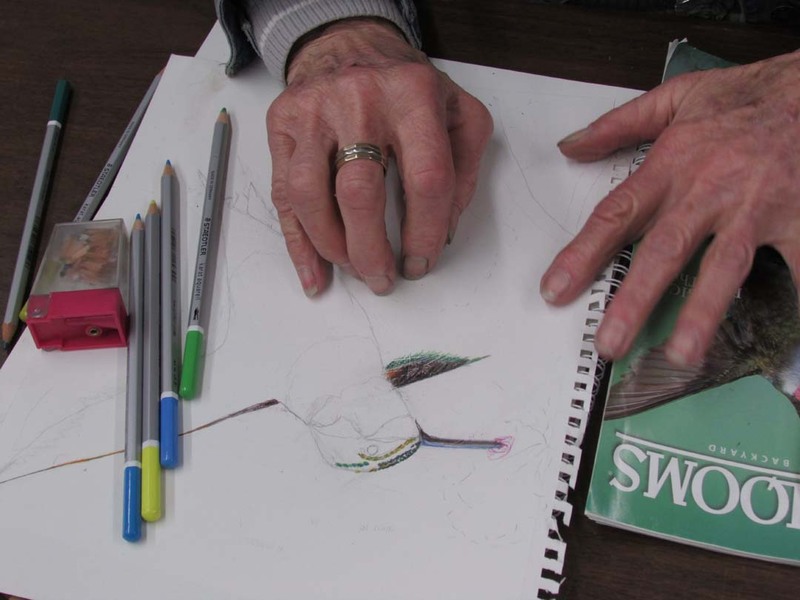 A student of retirement age draws the likeness of a hummingbird. It is exciting to see someone’s talent bloom in any season of life. For many, it is not until the years of retirement that the schedule allows some time to address a life long yearning to study art. My grandmother, for example, did not take up painting until she was in her eighties (she lived to be 100). She raised seven children, and many of those years she did so as a single mother. At night she would cut out horses in silhouette to entertain her little ones before they went to sleep. Raising seven children is an art in itself! Some however are blessed with parents that provide encouragement for their artistic endeavors from an early age. Such is the case with the student above. I was blessed tremendously in this way myself. I wish I could give encouraging parents an award because the positive words they speak into their children will have life-long positive results. The young student-artist is not only learning how to represent something visually or to express their own individuality and creativity. These student-artists they are learning problem-solving abilities that far outrun the boundaries of art. Solving art problems are like push ups for the brain! 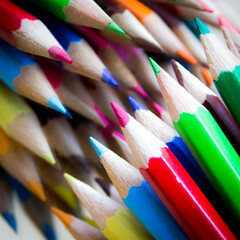 In addition, classes like this one for Colored Pencil Drawing allows an interaction of generations that is so rich. The students in this particular range in age from 12-70(ish). I say “ish” because I do not ask the age of adults. They give and take in their conversations, and building up of one another’s confidence to keep on trying. It is a delight to witness, and another reason that I love to teach art.